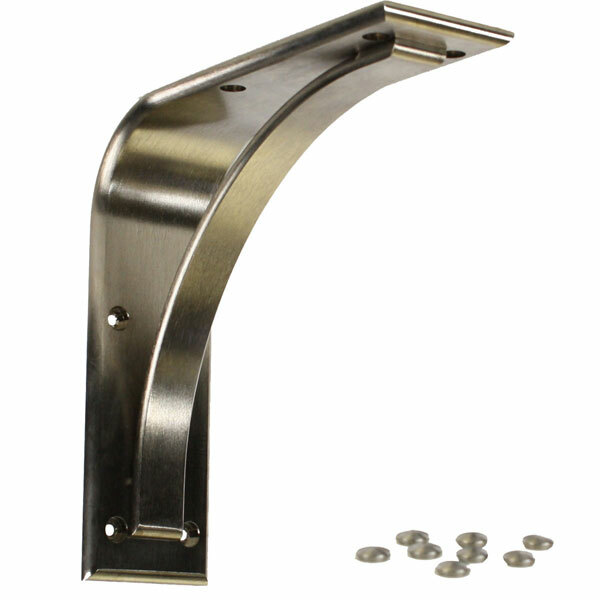 Our Simplicity Stainless Steel corbels/brackets are made from the best grade of 6061-T6 aluminum and CNC machined to give them that timeless appearance and incredible strength. We use several other processes to complete them with the beautiful brushed finish. We also wanted the best quality screw caps in the industry to give the corbel the ultimate look when installed, so we manufacture them out of the same material and include them with every corbel sold.